Social networking site, Facebook -- which cried foul when the Indian IT and communications minister Kapil Sibal spoke about pre-screening content on its site -- is, ironically, running foul of privacy advocates and some users over the introduction of its ‘Timeline’ feature which digs up users’ past and presents it on their Facebook pages. Facebook describes it as an "easy way to see the things you’ve shared, and collect all your best moments in a single place". After you upgrade to timeline, users have 7 days to review everything that appears on it before anyone else can see it. The timeline will replace a user’s profile, but stories and photos will be intact. Users also have access to a tool called Activity Log, a place where only you can review all your posts and activity, from the day they first started using Facebook. This sounds fairly simple and exciting, and it may prove so for veteran Facebook users. But for those who are not accustomed to checking their privacy settings, or do not have the time to go through the hundreds of messages they’ve posted over the last few years (Facebook was founded in 2004), it can be a nightmare. Besides, users may have consented to the use of their personal data but Facebook is more of an ‘opt-out’ system, argue critics. If you do not change all the preset privacy settings, most personal data will be visible without restrictions. Inexperienced users may not even be able to do so. New functionalities are activated automatically. And the data collected by Facebook are humungous. Consider this case. Every person in the European Union (EU) has the right to access all the data that a company is holding about him/her. A 24-year-old Facebook user Max Schrems of Vienna, Austria recently sent a formal request to the social network and asked for a copy of every piece of personal information the site has collected on him since he created an account a year ago. According to ThreatPost, Schrems received a CD packing a 1,222 page collection in a single PDF file--roughly the length Leo Tolstoy’s ’War and Peace’. The data, noted ThreatPost, also contained Facebook’s records which Schrems thought were deleted. Schrems notes that the PDF file he received from Facebook is based on himself and his 234 friends. This inspired him to launch a legal project ’Europe vs. Facebook’ to insist that "a company (Facebook) that constantly asks its customers to be as transparent as possible should be equally transparent when it comes to the use of its customers personal data". The Electronic Privacy Information Center (EPIC) says the launch of Facebook Timeline forces more privacy settings changes onto Facebook users, “which flies in the face of both privacy and a settlement reached between the firm and the US Federal Trade Commission (FTC) just two weeks ago". It was just late last month--November 29--that Facebook had agreed to a FTC order which bars it from “deceiving" consumers about its privacy practices and requires it to submit to monitoring for 20 years. The sanction followed privacy setting changes that Facebook made in December 2009, without asking users for their permission. 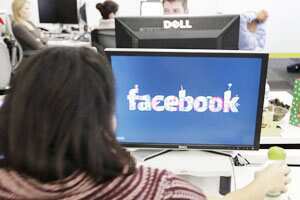 The FTC’s sanction comes as Facebook readies itself an initial public offering (IPO), expected next spring. Facebook CEO Mark Zuckerberg, in a blog posting that very day, said "...we have a good history of providing transparency and control over who can see your information...That said, I’m the first to admit that we’ve made a bunch of mistakes. In particular, I think that a small number of high profile mistakes...and poor execution as we transitioned our privacy model two years ago, have often overshadowed much of the good work we’ve done". EPIC, on its part, insists there are numerous real-life examples of friends’ list information being used in ways that are harmful to users. Based on profile data obtained from Facebook users’ friends lists, Massachusetts Institute of Technology researchers found that “just by looking at a person’s online friends, they could predict whether the person was gay." Dozens of American Facebook users, who posted political messages critical of Iran, have reported that Iranian authorities subsequently questioned and detained their relatives. If Facebook is serious about protecting user privacy, it should allow users greater control over their own information, says EPIC, which insists that Facebook should not only restore the one-click opt out for third party applications but also stop treating personal user information as public information--users should be allowed to decide for themselves what information they want to share and what information they want to keep private. Some experts have also cautioned that the Timeline navigation shouldn’t be taken as an invitation by employers to completely vet a candidate’s history through Facebook.